Debra Fleury is a Massachusetts-based artist working at Mudflat Studio in Somerville. She studied art and design at MassArt in Boston. 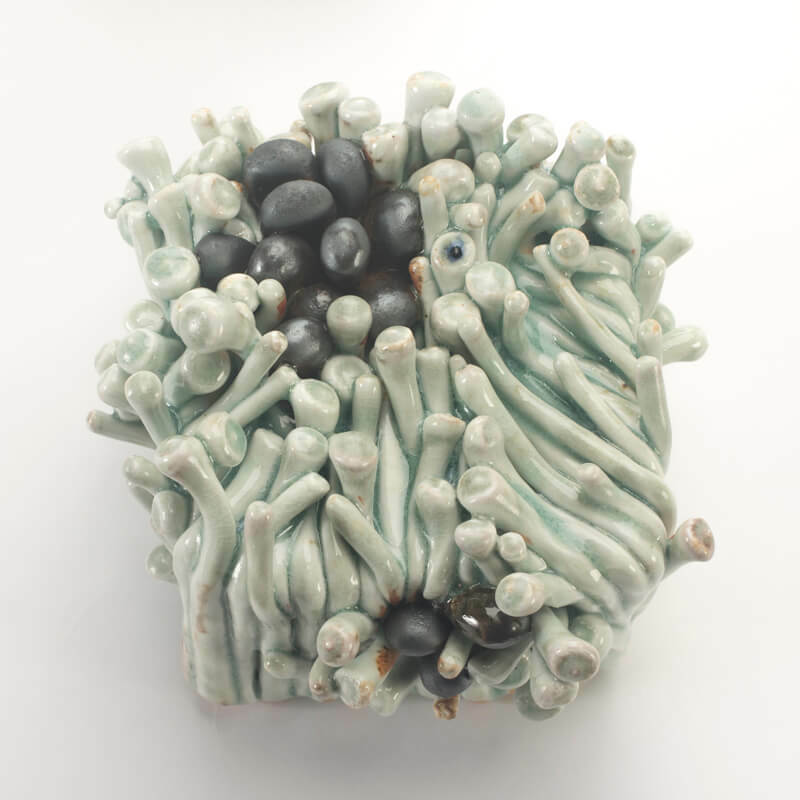 Debra has exhibited her work nationally at The Archie Bray Foundation (MT), Arch Contemporary Gallery (MA), The Workhouse Clay Arts Center (VA), Wayne Art Center (PA), The Clay Center of New Orleans (LA), Arch Contemporary Gallery (MA), Charles Rose Architecture Studio (MA), and Highfield Hall and Gardens (MA), among others. In addition to her sculpture practice, Debra works in the field of human-centered experience design and served as an adjunct professor of design at MassArt. Found organic objects of unknown origin inspire my curiosity and contemplation about the many paths a life can take. Living things age, collect damage, die, and are tumbled to dust. I’m interested in the damage that lifeforms collect along the way, forming the witness marks of individual journeys. Touch and sight feed the story. What is it? Where did it come from? Did something live inside it? Is it still there? Groups of objects get me thinking about relationships, influence, and potential energy. My work is emotional for me. I feel tenderness, kinship and empathy toward these imagined organisms that I create. Creating them teaches me. They reflect back to me what I am. In wondering about their essential nature I reflect on the essence we all share. I use clay to explore these ideas, because it feels alive to me in the moment and like a fossil or a shell after firing. At times I’ll combine clay with glass, mix clays that have opposing properties, or use atmospheric firing as a way to explore the forces of resistance and happenstance as metaphors for the forces of nature and the nature of living creatures.